From Sam Pitroda making a controversial statement over Pulwama and Balakot attacks to Gautam Gambhir joining BJP, here's a look at the host of developments ahead of the Lok Sabha polls. 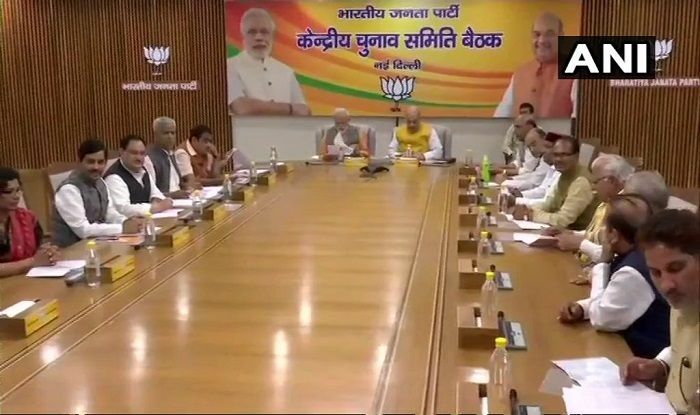 Lok Sabha Elections 2019 LIVE: At the CEC meeting in the BJP headquarters, Goa Chief Minister Pramod Sawant and other BJP leaders including Vinay Tendulkar, Satish Dhond and Sanjiv Desai meet Prime Minister Narendra Modi. 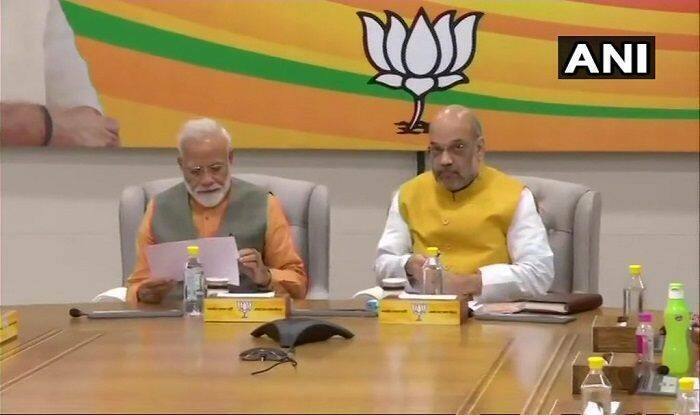 Lok Sabha Elections 2019 LIVE: Prime Minister Narendra Modi was received by BJP President Amit Shah at the party headquarters where a Central Election Committee (CEC) meeting is underway. 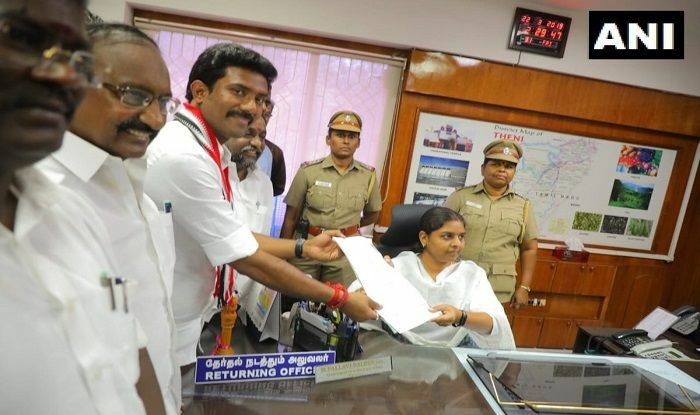 Lok Sabha Elections 2019 LIVE: In Tamil Nadu, OP Ravindranath Kumar, the son of Deputy Chief Minister O Panneerselvam, filed nomination from Theni parliamentary constituency. Lok Sabha Elections 2019 LIVE: Karnataka Chief Minister has threatened to file a defamation case against the Congress party for levelling corruption allegations on him based on his hand-written ‘diary’. 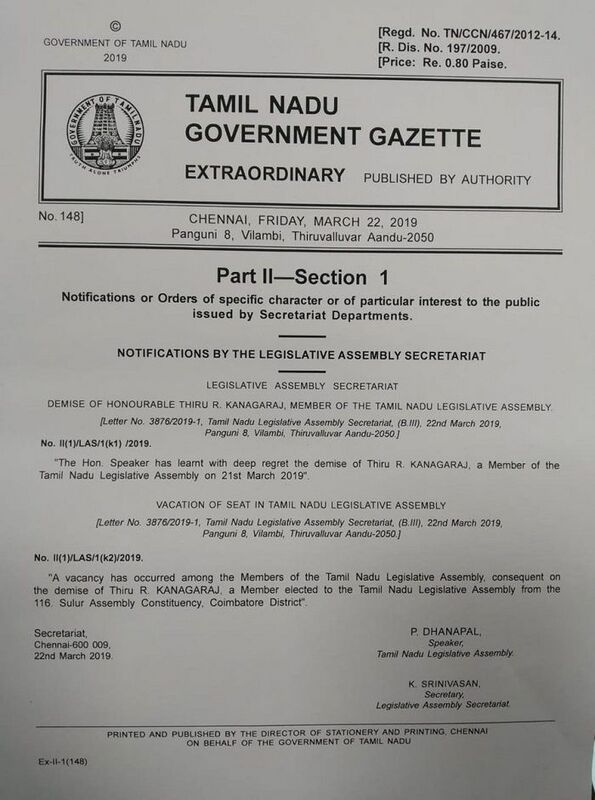 Lok Sabha Elections 2019 LIVE: In Tamil Nadu, the Sulur constituency of Coimbatore district is declared as vacant by State Assembly Secretary, K Srinivasan. This declaration comes in the wake of the demise of Sulur MLA R Kanagaraj on March 21. Currently, the number of vacant seats in the state assembly is 22. New Delhi: Ahead of the Lok Sabha elections 2019, Congress’ Indian Overseas chief Sam Pitroda started a controversy saying attacks like Pulwama happen all the time. Prime Minister Narendra Modi sharply responded to the attack and labelled the Opposition as ‘terror apologists’. Union Minister Arun Jaitley too condemned Pitroda over his statement on the Balakot airstrike and attacked Congress President Rahul Gandhi over the same. Meanwhile, former Indian cricketer Gautam Gambhir joined Bharatiya Janata Party (BJP) ahead of the upcoming polls in the presence of Jaitley and Ravi Shankar Prasad and said he decided to do so after getting influenced by PM Narendra Modi’s vision. Jaitley lauded Gambhir’s addition to the party saying ‘people of eminence are joining BJP’. Adding to the poll drama, Congress’ spokesperson Randeep Surjewala addressed a press conference stating contents of the ‘Yeddy Diaries’ published by Caravan magazine. The Congress cited the report to claim that B S Yeddyurappa made payoffs amounting to Rs 1,800 crore to top BJP leaders. “Yeddyurappa recorded these alleged payouts in a Karnataka state assembly legislator’s 2009 diary, in Kannada, in his own hand…. The copies of the diary pages note that Yeddyurappa paid the BJP Central Committee Rs 1,000 crore; that he paid the finance minister Arun Jaitley and the transport minister Nitin Gadkari Rs 150 crore each; that he gave the home minister Rajnath Singh Rs 100 crore; and that he paid the BJP stalwart LK Advani and the senior party leader Murli Manohar Joshi Rs 50 crore each. Besides this, the entry notes, Yeddyurappa paid Rs 10 crore for ‘Gadkari’s son’s marriage’,” the Caravan report says. It must be noted that Rahul Gandhi was supposed to address the press conference on Friday morning which was later addressed by Surjewala. The BJP thus mocked the Congress after it deferred its press briefing. Congress was scheduled to address the media around 10 am, however, it later said that the press conference would be held in the afternoon. Taking a dig at the Congress, BJP said it seems that Rahul Gandhi is unable to wake up in the morning.